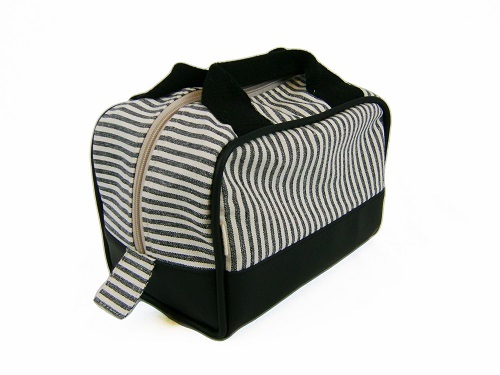 Made in Cape Town from a combination of leatherette, 55% hemp, 45% organic cotton, black and natural yarn dye fabric this is a stylish storage solution for toiletries and cosmetics when traveling . Love your planet! – Made from eco-friendly industrial hemp & organic cotton.